Those who celebrate Nomos’ minimalist case and dial designs have done so fully aware that all of the Glashütte-based watchmaker’s wristwatches are made with strictly a leather or textile bracelet. Nomos has long offered fine French textile straps, Chicago-made leathers and particularly supple calfskin straps to fit its thin timekeepers to your wrist. 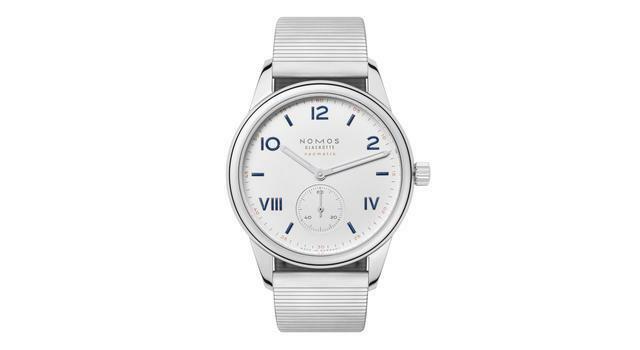 Nomos has not made a watch (to my knowledge) to be held to the wrist by a metallic watch bracelet. 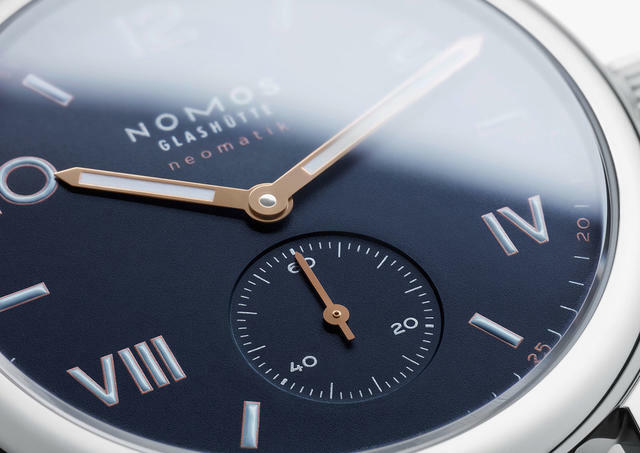 For the first time, Nomos is now offering a bracelet for one of its collections. 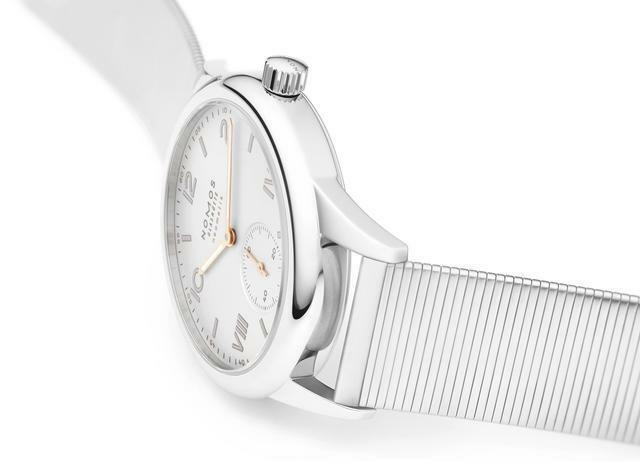 The inaugural series, Club Campus, which Nomos launched two years ago with manual-wind models, is now available with a steel bracelet and with an automatic movement. Now with a bracelet too. The Nomos Club Campus neomatik. 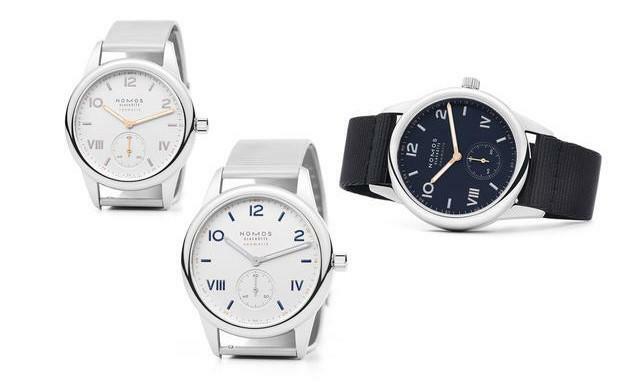 The resulting update means the Nomos Club Campus collection now includes the three original 36mm and 38mm versions with manual winding and these three automatic versions offered with 37mm and 39mm cases. 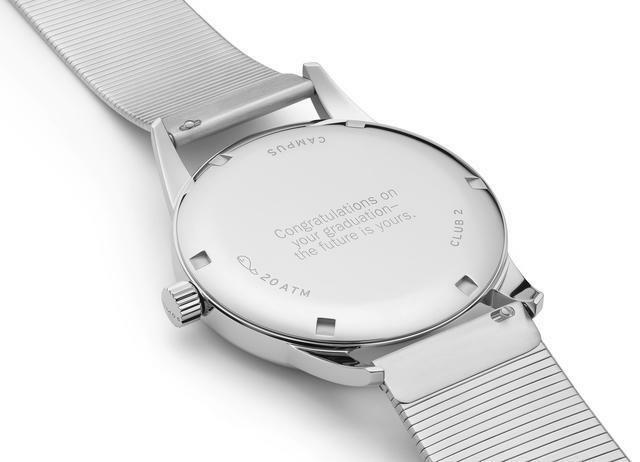 All continue to sport stainless steel casebacks that are perfect for engraving messages—a service Nomos offers for free for all Campus models. 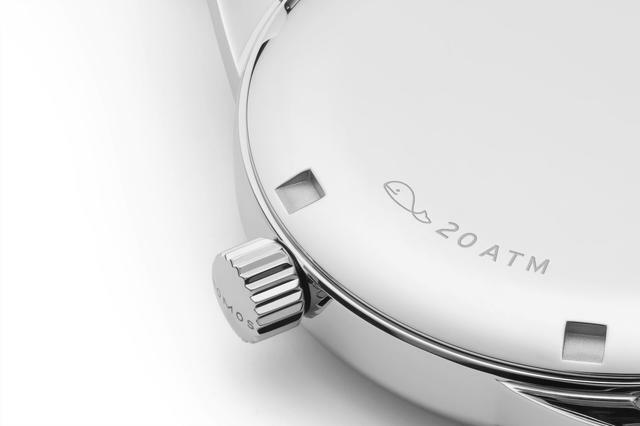 Complimentary on request, Nomos offers a personalized message engraved on the stainless steel back. These Club Campus models are powered by the thin in-house Nomos DUW 3001 automatic caliber with 43-hour power reserve. Club Campus neomatik is available in three different colors. Pictured is the version with a white-silver plated dial and blue hour markers. 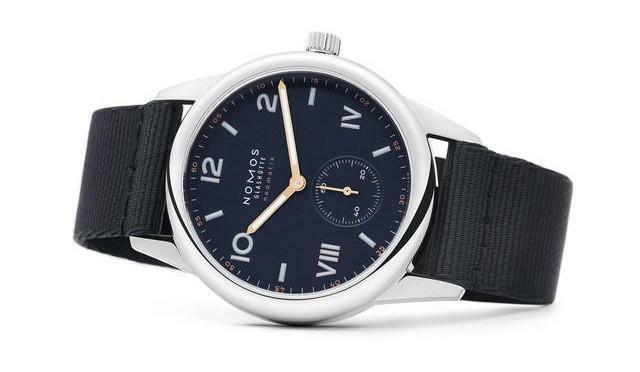 Club Campus, you may recall, is an offshoot of the sporty Nomos Club model. All six Club Campus watches are available with both Arabic and Roman numerals. While the three manual watches come with a velour strap, the three new automatic (or, in Nomos parlance, “neomatik”) models arrive with the new bracelet as standard. The new automatic Club Campus neomatik models are water resistant to 200 meters, up from the 100-meter rating for the manual-wind models. Prices: $2,780 to $3,020.